Steinerschools, also known as (free) waldorfschools, make part of an international school movement. All over the world there are, according to steinerschools spokesmen, 965 steinerschools. For the last three decades the steinerschool movement knows an amazing expansion. Because steinerschools gain popularity one could easily come to the conclusion that this popularity must be caused thanks to a superior form of education. Let us take a look at what Wikipedia, the free internet encyclopedia, has to say about steinerschools. Waldorf education (also known as Steiner or Steiner-Waldorf education) is a pedagogy based upon the educational philosophy of Rudolf Steiner (1861-1925) founder of anhroposophy. Learning is interdisciplinary, integrates practical, artistic, and conceptual elements, and is coordinated with “natural rhythms of everyday life”. The Waldorf approach emphasizes the role of the imagination in learning, developing thinking that includes a creative as well as an analytic component. Studies of the education describe its overarching goal as providing young people the basis on which to develop into free moral and integrated individuals, and to help every child fulfill his or her unique destiny (the existence of which anthroposophy posits). Schools and teachers are given considerable freedom to define curricula within collegial structures. That’s quite an advertisement! No wonder that more and more parents are willing to try a concept which is advertised like this and that some parents are determined to send their children to a waldorfschool. But as anyone knows: ‘Between what is said and what is done lies an ocean’. Or brief: ‘Easier said than done’. When one would take a close look at some testimonies of people who have had experiences with steinerschools which are in no way related to the given definition of a steinerschool, it appears that the ideals of steinerschools and the every day practice stand to each other as day and night. Those testimonies show that steinerschools aren’t some kind of free and open minded spaces in which superior education flows in, like they often claim. No, lots of people testify that they found themselves and their children embedded in some kind of rigid community of narrow minded believers. When this comes to the surface, one can understand that this attracts critics who are eager to know more about those schools. One thing that those critics have in common is that most of their observations are similar. That’s not strange, because steinerschools all have the same curriculum, with small differences depending in which country a school resides. No wonder one can notice a similarity in what critics have to say. The fact that I live in Belgium, where I am of course better known with the steinerschools than those in other countries, doesn’t mean I am not aware about what is going on overthere. For two of Belgiums neighbours, Germany and the Netherlands, I have quite a good look on what critics have to say about steinerschools. And that’s not meaningless, because in Germany, homecountry of steinerschools, there are more than 200, in the Netherlands almost 100 steinerschools. The past years in both countries well known experts in the field of education are keeping an eye on steinerschools. 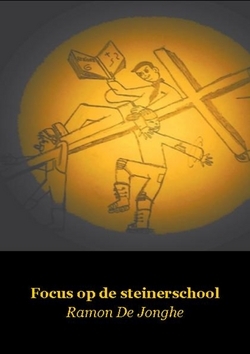 Information about foreign steinerschools is relevant for me to compare with what goes on in Belgian steinerschools. We cannot forget that worldwide steinerschools have the same curriculum and that steinerschool education is centralized in the Pedagogical Section of the Goetheanum in Dornach, Switzerland. Each year steinerschool teachers from all over the world meet in the Goetheanum. In the Netherlands the public comments on education in steinerschools, there called ‘Free Schools’, aren’t very critical. But this doesn’t mean steinerschools aren’t subject of controversy. Especially the Dutch gouvernement keeps its eye sharp focussed on the steinerschools. Inside the academic world there are two professors, dr. Imelman and dr. Bus who already gave critical comment on steinerschools. In her oration ‘Still two more miles to go’ professor Bus mentioned her concerns refering to the linguistic reading method used in steinerschools. Her research done in the 80’s indicated that the steinermethod is a factor which can cause a reading disability professor Bus calls ‘pseudo dyslexia’. The results of her research made her the subject of a defamation campaign set up through the media by anthroposophists. At the present Dutch steinerschools have become a little more tolerant towards critics. For a decade journalists who wrote critical about steinerschools, anthroposophists or their ‘master’ Steiner were sued for court. Today even the president of the ‘Vereniging voor vrijescholen’ (Dutch Association of Steinerschools) dares to say, although only among his own partners, that there are reasons enough to criticize steinerschools. ‘We’re talking about the capacity of the Association of Steinerschools. We look foolish, because themes out of our past maintain subject of discussion. We don’t succeed to come to agreement about the identity of the steinerschool and how we have to expose it. Following that the Association gets criticized, taunted and is not taken serious. The members of the Association refuse to give the forms of co-operation or the common interest the position that is required to act adequate and to give respons to the questions of education and society. Strange that an education that advertises itself as ‘the better education’, without performance pressure or manuals, though with a lot of creative and dynamic exercise becomes identified as ‘unpedagogical’ or as insufficiënt after analyse by experts. A research rapport recently published (2009) made clear that in the field of math and language steinerschools aren’t as effective as regular schools (H. Steenbergen, Vrije scholen en reguliere scholen vergeleken, GION 2009) . Even the anthroposophical magazine Driegonaal interfers in the discussion about the quality of steinerschools. One of the editors, John Hogervorst, comes to the conclusion that the experiences of parents of children in steinerschools can be a supplement for the observations of the school inspection. Hogervorst claims that there are at least ten other cases behind each problem. Out of my own experience I can only agree with him. At the steinerschool teacher seminar where I studied those problems were the talk of the day among students. The German ‘waldis’ have to deal with critics like Peter Bierl or Andreas Lichte. Nothing worse for steinerschools than a trained steinerschoolteacher like Lichte who writes a critical essay about his teacher training experiences. A sad story, even though it is delivered with a touch of irony. Although ‘waldis’ don’t want to see Lichte in this light, many others see him as a steinerschool insider. German steinerschools also become criticized by well known experts in the field of education. In an interview in July 2007, Josef Kraus, the president of the German Teacher Association refers to the steinerschools in a significantly way. At the beginning of the same interview reporter Grothe already spoke about journalists of the national channel ‘ZDF’ who were sued for court because they made a critical report about steinerschools. Grothe also summarizes some typical commonplaces about steinerschools. Also dr. Franz Monks, who has the reputation of being the ‘pope’ of research related to childrens learning abilities, criticizes the steinerschools. In his practice he also works with children who visit steinerschools. This makes the child suffer, because it has to withdraw itself all the time. The inquisitive child can become false or become a source of disturbance. And this drives parents towards us who say they do not recognize their child anymore; parents who say their child has developed in a way far beyond their imagination. In Belgium there are no more than 25 steinerschools and only 5 high schools. Despite it is a insignificant network, they have to deal with the same problems as steinerschools in countries like Germany, the Netherlands and the U.S.A.. But they have the advantage that in case of problems they can hide behind a specific for steinerschools created curriculum, which is accredited by the Belgian Ministry of Education. So everytime a problem shows up, spokesmen of steinerschools cry out loud: ‘It is because we have a different curriculum that people don’t understand their child is not in line with a child of a regular school, but speaking in averages at the end of their school career steinerschool students have at least the same knowledge as other students. We are accredited to give diplomas! !’ That’s not what we hear of parents. I remember that when my children were tested to change from school they had gaps in their subject matter going from one year upto three years. Lack of subject matter is something that shows up every time steinerschools are subject of debate. 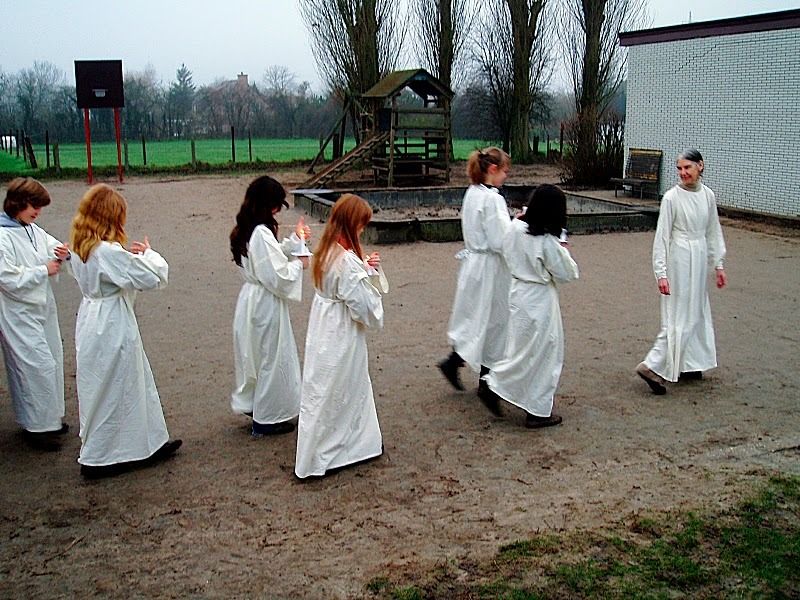 Because in Belgium there is a high standard in regular education it is not easy for children to change from a steinerschool to a regular school. A lot of children are ‘trapped’ into the steinerschool system. No wonder some children exhibit strange behaviour because they want more intellectual challenge, which is simply refused by most steinerschool teachers. Dr. Franz Monks already gave this example out of his own practice. Something else I recognize in Monks’ statement and what I have in common with the parents of whom he speaks is the ‘they do not recognize their child anymore’. My children also developed in a way far beyond my imagination. Now, two years later, the traces of the unpedagogy are still visible. Other parents told me their children struggle with comparable problems. An alert parent and a steinerschool teacher attracted my attention mentioning that in my childrens former school a lot of students quit school during primary school. Some research showed that out of 163 primary school students who started in 2003 already 80 of them left the school in 2007. I examined the reasons why parents decided that their children had to change from school. This I did by, or at least trying to, contacting the parents of the 80 children. At the end I succeeded to talk with the parents of 61 children. Two remarks were often made by the interviewed parents. that teachers in the steinerschool are inadequately trained to teach. that steinerschool promises something she does not offer. Most parents, including me, thought that steinerschools are at least in line with regular education. (According to what I read from Steiner, steinerschools should offer even more (but with a different method). In short, many people leave the steinerschool with the knowledge they didn’t get what they’ve been promised. Just like the President of the German Teachers Association already said. This again shows problems in steinerschools aren’t related to one specific country. After reading this we could say that the main issue in all sorts of problems in steinerschools is the role of the teacher. Like Andreas Lichte already described in his article about the steinerschool teacher training in Berlin, it is known that anthroposophy is seen more important for most steinerschool teachers, (most of them are anthroposophists) than didactics. I can only subscribe this out of my own experience as a student at an anthroposophical college. So it’s not so odd when parents, experts, insiders and critics always come to the same conclusion: most teachers on steinerschools just don’t know how to teach! Another important issue is the lack of consciousness in steinerschools. Let’s look again at the teachers. In steinerschools they are assumed to be even more important than the children, so it’s no crime to focus on them. Can we blame all teachers? I don’t know. I think some of them are really naive and are really doing the best they can for the children in their class. Question is: when they didn’t had a real teachers apprentice, out of what are they making the best? Some of whom I met made the impression of being brainwashed. They were always staring at the horizon (I guess). But as for me there are also teachers who damn well know that they are doing something that is better kept as a secret. I have no idea wether this last category is a majority. As far as I can see here in Belgium they’re not, because a lot of starting teachers at Belgian steinerschools just repeat what they in blind faith (or believe) hear from their ‘leaders’. Those leaders on the contrary are well conscious about what they are doing; they are letting other people say what they think (or at least trying to), without encouraging those people to think for themselves. This is how I felt it towards myself. Could we object when anyone would call this brainwashing and that because of this practice steinerschools are called sects? I don’t think so. I think the great danger in the anthroposophical movement is that a few people who have consciousness of what anthroposophy stands for are trying to convince, one could say implant their ideas into people who don’t know what anthroposophy stands for. In that manner it becomes an unconscious power controled by others. And that’s abuse. For good order: I don’t have nothing against anthroposophist or their believe. But to use steinerschools as a Troyan horse is not the right manner to reach a so called spiritual goal. One cannot force ‘knowledge of higher worlds’ into people who aren’t fit for it. It’s time the steinerschools as well as the anthroposophical movement come out of the closet. Question is wether they will have the courage to acknowledge, but also to resolve their problems and not in the least, the intention to do so. It could make the difference between being a sect or being a movement. I worked as an educator in a steinerschool, was in the board of directors of that school, worked as a volunteer for a library of the Rudolf Steiner Academie, studied at an anthroposophical college and 3 of my 4 children went to two different steinerschools. One can say when I come to speak of steinerschools and anthroposophy it is out of my own experience as an insider. Note: Remarks and feedback about content and lay-out of this website are more than welcome. In case you should notice faults of any kind on this site, please let me know by filling in the contactform.